Baby Lo is six weeks old already, time is flying! I'm not sure when the newborn stage officially ends, but it feels like Lo is growing into more of a "baby" and less of a "newborn baby" every day... if that makes any sense! Transitioning to two kids has definitely been a little bit of an adjustment. I love having two girls but I'd be lying if I said things don't seem a tiny bit like a circus every once in a while. Sitting down to feed Willow while (usually a diaper-less) Ellie is "playing" all too quietly in the other room more often than I'd like to admit means she's doing something she probably shouldn't be - like attempting to flush half a roll of toilet paper + a couple still-in-their-wrappers tampons down the toilet. 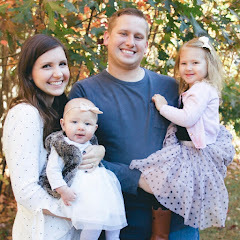 There's never a dull moment and I don't think a day has gone by that I haven't thought to myself "why did I ever think having one kid was hard?!". Yes, I'm sure people with more than two kids are laughing at that right now and rightfully so. ;) With this being our second time around with a newborn, I thought I'd share a few of my all time faves as well as a few baby products that have made the adjustment to two a little easier. Angelcare bath support // This tub is a definite favorite of mine! It works in our kitchen sink, which is so nice to avoid bending over to wash baby (especially nice while recovering from a c-section when bending at the waist feels pretty horrible at times) and it also works awesome in the big bath tub. I was a little nervous about giving the girls a bath together with Lo being so little since Ells can get a little wild + out of control in the bath sometimes, but she's been so good and there's plenty of room for both of them in the tub when we use this! I know we'll be able to use it for months to come and am so happy we grabbed it for baby number two. Swing // Willow loves to be held while she's sleeping, but I obviously can't spend hours cuddling with her on the couch, especially when it's just the three of us home all day. Our swing has been kind of a lifesaver, Lo definitely prefers snoozing in there during the day over her crib or the pack n' play. Ells was not a fan of her swing or bouncer, so finding any kind of baby contraption that Lo likes was a huge bonus! Swaddle blankets // I've talked about these swaddles so much on here already and we continue to use them every single day. Willow doesn't like to be swaddled in her sleep just like her big sis didn't, but the lightweight material makes them the perfect blanket to use for just about anything, especially this time of year! Solly wrap // Our Solly wrap has definitely been another lifesaver! I've used it while we were out + about, on walks, around the house and most frequently while playing in the yard with Ells. It could totally be a phase, but I can put Lo in the wrap wide awake and she'll fall asleep within seconds, not waking until I take her out again. I'm so happy she seems to love being worn, it's made a big difference in our days and I know I'll be using it for awhile! 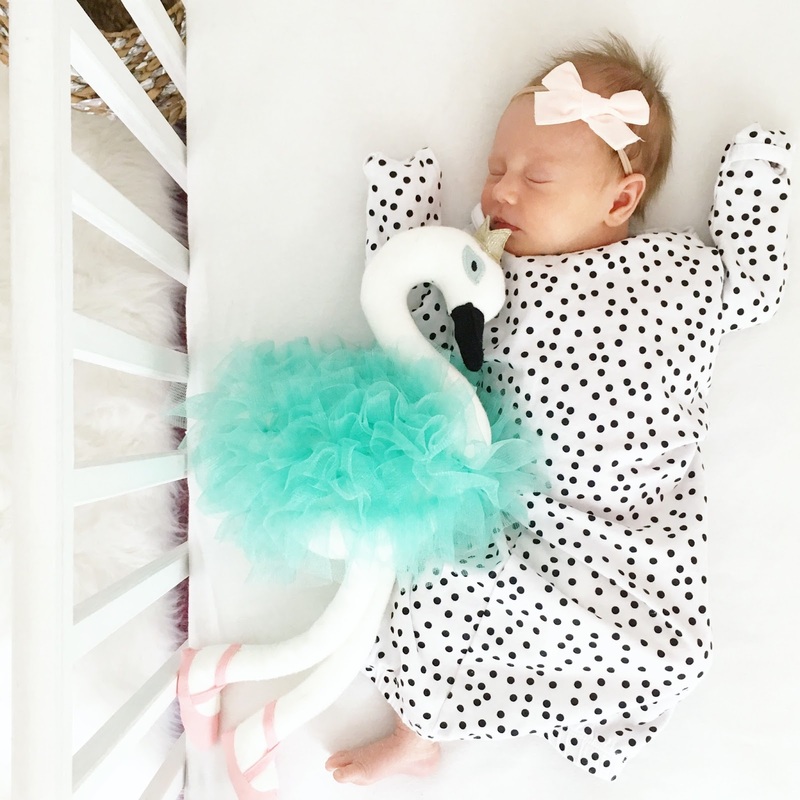 Baby gown // I love these baby gowns made by one of our very favorite companies! They're super soft and come in the prettiest colors. There are tons of cute baby clothes out there, but most of the time Lo can be found wearing a gown, our fave jammies or just her diaper because it's 90 degrees + humid. I'll leave you with a snap of my tiny two week old baby Lo - how has she grown so much so fast?! And where did all of her hair go? ?